Do you have dry skin? Chapped lips? Skin disorders or diseases? Wrinkled skin? Cracked heels? Dry hair and scalp? Jojoba oil is the magic you need. Jojoba oil is a super-effective oil with multi benefits for the hair, scalp and skin. This oil has a rich content of invaluable vitamins and minerals. These include: vitamins E and B-complex, iodine, selenium, copper, chromium, and zinc. One other amazing quality of jojoba oil is its effectiveness on all skin types. Jojoba oil is not sticky; it actually has a light feel, has no odor, and lasts very long. 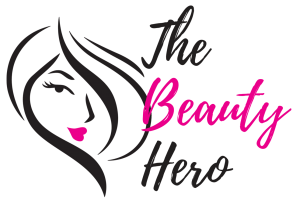 There is much to know about this wondrous oil and its amazing benefits for the face and skin. When you ask, “what is jojoba oil?” You should be prepared to be bombarded with a lot of information because this oil is special in numerous ways. I’m going to give you some brief info on it to get you started. To begin with, jojoba oil comes from jojoba plant, a perennial plant that can be found in the arid regions of California, Arizona and Mexico in North America. It is pronounced as ho-ho-ba, and its botanical name is Simmondsia Chinensis. The oil is extracted in the form of a golden liquid wax from the seeds of the jojoba plant. It later goes through a refinery process to produce the odorless and colorless consumer form we know as jojoba oil. For your skin care routine, you can use jojoba oil alone or in combination with other essential oils to complement its benefits. This versatile oil keeps your skin and hair hydrated, thereby helping them maintain a natural balance. Jojoba has similar qualities with sebum — the natural oil produced by the sebaceous glands that lubricate your skin and hair. In medical conditions where people have a low production of sebum, jojoba oil is used as a substitute. In contrast, when an individual has an excessive amount of sebum in their hair, jojoba oil can be used as a remedy to treat it. 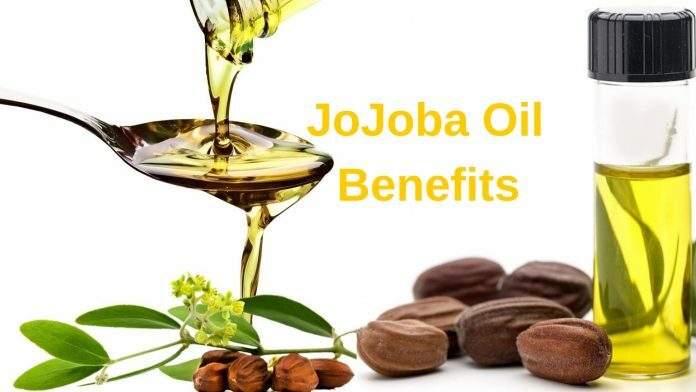 Now that you’ve been armed with this brief background info about jojoba oil, let us delve into our topic to discover the 7 amazing jojoba oil benefits for the face and skin. Its moisturizing quality is a great jojoba oil benefit for the skin. We all know that the art of looking good begins with having moisturized skin. Moisturized skin is the beginning of all things good in your skin — and jojoba oil can give you just that. Jojoba oil contains ceramides in high quantities. These ceramides envelope the skin cells and as a result, they remain hydrated. This oil has a high rate of absorption into the skin and does not leave the skin oily. This way, it protects the skin against moisture loss and even dust pollution. This quality is a perfect jojoba oil benefit for the face too as the face needs a lot of delicate handling to remain healthy. Simply rub jojoba oil on your face and hands before going to bed. Wash it off in the morning, and you’re good to go! Skin diseases like eczema, acne, rosacea, all pack up and flee when introduced to jojoba oil. The oil has healing qualities that counter flaking, itching, dryness, which are great jojoba oil benefits for your skin. It has anti-inflammatory qualities that do not let acne thrive on your facial skin. Another jojoba oil benefit for the face is its antiseptic and non-greasy nature which is effective in improving your acne. It unclogs the affected skin areas, allowing moisture in to provide a refreshing and healing effect for the skin. People who have dark circles around their eyes will probably consider this the best jojoba oil benefit for the face. Dark circles make the face dull, drowsy and sickly. You simply have to mix jojoba oil with chamomile essential oil in equal quantities, apply and massage it gently around your eyes for 10 – 15 minutes and then wash it off with warm water. The ability to reduce pregnancy stretch marks is one powerful jojoba oil benefit for the skin. If you’re pregnant and have noticed stretch marks starting to appear, rub jojoba oil in a small quantity over the affected skin areas. Do this two times every day during your pregnancy and continue with the routine after giving birth. Jojoba oil has a soothing and relaxing effect on the body, so using it will help you during pregnancy as well. Jojoba oil is effective in moisturizing and softening the lips. It does a better job than petroleum jelly with its waxy nature which replenishes lost moisture in the lips. So if you want soft lips, know that this is a jojoba oil benefit for your face too. Having healthy, moisturized lips help make your face glow. You can make this lip balm by mixing jojoba oil with beeswax. All you need do is get two teaspoons each of jojoba oil and beeswax, melt the beeswax and then mix it with jojoba oil. Add 3 – 4 drops of any natural flavors of your choice. Let the mixture cool and then store it in a refrigerator. Coconut oil is also another alternative in the absence of beeswax. Another jojoba oil benefit for the skin that you can enjoy is its ability to heal dry or cracked heels. Apply this oil regularly on your feet, and your heels will remain smooth and soft. A more intensive way to do it is to apply it on your stockings. Wear the stocking for an hour before you remove them. Apart from the previously listed jojoba oil benefits for the face and the skin, jojoba oil is also a perfect ingredient in making face masks. To make a jojoba oil face mask, you can combine it with raw honey and orange juice to make a face mask that will be good for your skin. Another good combination includes jojoba oil with cornstarch and crushed tomato. Did you learn something from these 7 amazing benefits of jojoba oil for the face and skin? As a matter fact, there are many more jojoba oil benefits for the skin and the face as well. You simply need to learn how to use this wondrous oil to make DIY skin-care remedies at home to give your skin the glow it needs. You can also check out the atma facial oil or saya facial oil from amaiaa beauty, it includes all natural ingredients like Jojoba, Argan, Avacado, Apricot and much more! Learn more about this natural facial oil for your face and skin. Comment below if you have any great recipes or benefits you found from this amazing oil. Also, check out amaiaa beauty for their amazing all natural facial oils. They have Jojoba oil inside with other amazing ingredients.